Alexander J. Brunino | Stahancyk, Kent & Hook P.C. Alex has been an Active member of the Oregon State Bar, and the American Bar Association since 2017, and joined Stahancyk Kent & Hook as an associate attorney in October 2018. Prior to working at SK&H, Alex enjoyed working in business and corporate oriented practice areas, and was a law clerk at Kivel and Howard LLP and a legal extern at Leahy Cox LLP. Alex moved to Eugene, Oregon to attend the University of Oregon School of Law on an academic scholarship. While at Oregon Law, Alex served as an Associate Editor on the Oregon Law Review, and published an article on arbitration and consumer protection in Volume 95, Issue 2. Prior to law school, Alex graduated from the University of British Columbia where he received a B.A. in Economics. Prior to attending law school, Alex worked in the accounting and human resources offices at Matcor Autmotive, Inc. in Brampton, Ontario, Canada. Married to an immigration attorney, Alex enjoys working as a volunteer attorney for the refugee, asylee, and immigrant community in the Portland area. Since becoming a Unites States Permanent Resident in 2018, Alex has enjoyed helping other immigrants in the U.S. navigate the immigration system. 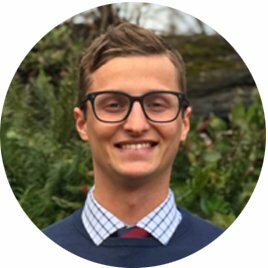 Since moving to Oregon, Alex enjoys hiking and camping with his wife. Alex was a member of the Men’s Golf Team at the University of British Columbia, but has become a fair-weather, recreational golfer since he stopped playing competitively. In the winters, Alex enjoys spending time in the mountains skiing. Along with his wife, Alex is an avid soccer player, and enjoys playing and watching soccer on the weekends.